These days artificial intelligence is so advanced that robots trade shares, make restaurants suggestions and diagnose diseases. But can a robot get a dance floor jumping? 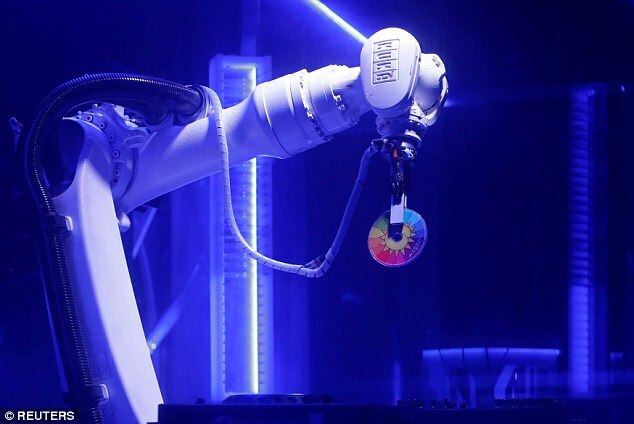 It is a question that Prague's Karlovy Lazne Music Club has endeavoured to answer by employing a specially adapted former automotive industry robot as a DJ in the popular nightspot. 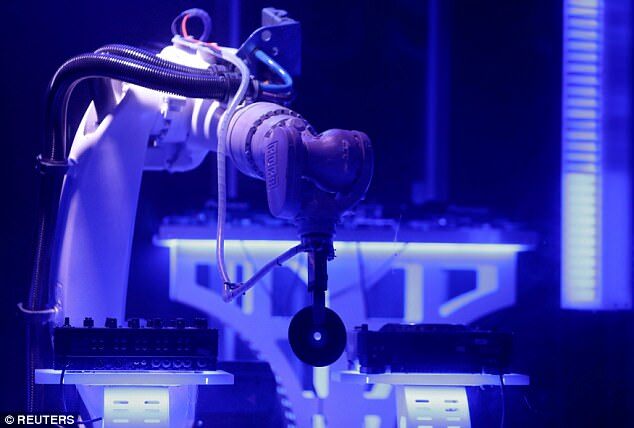 'People are excited (about the robot), because they haven't seen anything like this around Europe, and I am not sure if there is something similar in the world,' club manager Adam Lipsansky told Reuters. 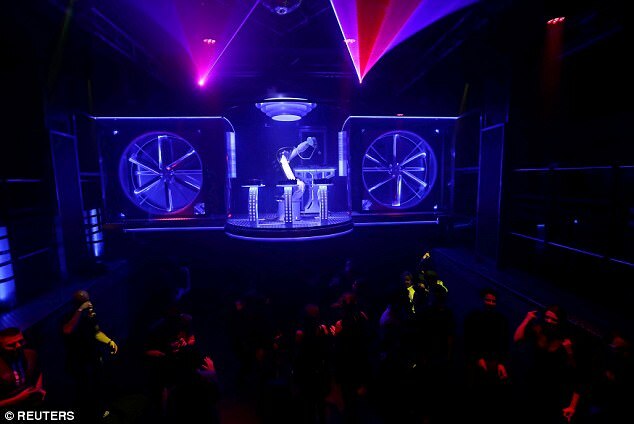 The DJ robot was created after the club's management challenged a robotics firm to the task. The robot has special software that helps it choose songs. It can select discs from nearby racks, and put them into one of three music players. It can even scratch records and dance. The arm-shaped robot has a pincer at the end, and works on hourly rotations with its human programmer. 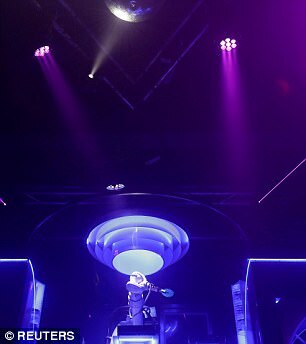 Equipped with special software to help it choose songs and mounted on a stage above the club's dance floor, the robot selects discs from nearby racks and puts them into one of three music players in front of it. It can scratch records and also dances. 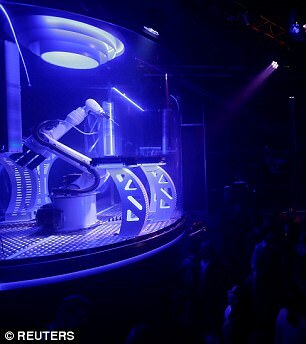 While some clubbers told Reuters that they enjoyed the robot's musical efforts, others remained unconvinced. 'I don't like the robot,' said Marcia Lopes, 24, a tourist from Mexico. 'It can't feel what the people want to dance to.